On Aug. 1, doors of the new Adventist hospital in Castle Rock, Colo., will open. Todd Folkenberg, the new CEO at Castle Rock Adventist Hospital, and his team are working tirelessly to prepare this new facility and staff to extend the healing ministry of Christ. Folkenberg and his team are excited about the opportunity to impact the community with the CREATION Health initiatives. On July 14, from 9:00 a.m. to 1:00 p.m., community guests are invited to an Open House where a self-guided tour will take them through the patient rooms, recovery area, medical imaging, nuclear medicine, ICU, neonatal intensive care unit, and labor and delivery areas. A tour will also be offered in the hospital’s new Manna Restaurant, which has an open kitchen where guests can watch chefs prepare their food. Click here to learn about exercise programs, healthy cooking demonstrations, and fun activities planned for kids. As a church family, let’s pray for a wonderful beginning for this new healing ministry. Off-road camp meeting is fast approaching » The first Christian Adventure Outpost, a camping and off-roading camp meeting, will take place July 31–Aug. 4. Sponsored by the Littleton Church (Colo.) and the RMC Youth Department, this event promises to be a great combination of fun and spiritual blessings. The target group includes all RMC church members. Read more to learn how to receive further information about this exciting event and to help spread the word! Boulder Church celebrates new baptisms » On June 22, Hunter Odenthal, Adam and Annabelle Spiers, and their mother, Rozie Spiers, were baptized by Pastor Kevin Bowen. Hunter, Adam, and Annabelle all preached an evangelistic series during a Kaléo Project mission trip to Ecuador earlier this year. Welcome to the family! RMC student L.E. program impacts many » This past Wednesday, I had the privilege of worshiping with the summer student literature evangelism team, directed by Joe Martin. The Lord has truly blessed this dedicated group of young people in their ministry journey. They have gone door-to-door in Grand Junction and Colorado Springs, Colo., and will head to Pueblo, Colo., next. Read more to get an up-to-date report from Joe about what this group has accomplished so far! RMC VBS programs are in full swing » Praise the Lord for all the wonderful leaders who are and have been providing wonderful vacation Bible school programs throughout our conference. Pictured here is a class from the VBS that took place at our Bloomfield Hispanic Church. They had more than 50 kids in attendance! Porter Adventist Hospital brings hope to a patient from Cambodia » Porter Adventist Hospital in Denver joined forces with several local medical doctors to provide a free, life-saving heart treatment to Nam Ieng Bun from Cambodia. Read the heart-warming story about how they extended the healing ministry of Christ to this man. On the road » I hope all of you had a wonderful July 4 holiday as we honored and celebrated the privilege of living and working in America! Diane and I are currently on the Western Slope to attend the Cowboy Camp Meeting. Despite the last-minute scurry to secure a new location for the event due to encroaching wildfires near Silver Jack Reservoir, God truly blessed in helping coordinators locate the Columbine Campground near Columbine Pass. Next week, Diane and I head to Wyoming for camp meeting at Mills Spring Ranch. Ron Halverson and Mic Thurber will be the main speakers for this spiritual convocation on Casper Mountain. On a personal note, I have some exciting news. There aren't many of us, but I'm one of the faithful few who have mourned the loss of Numete and Nuteena for many years now. Since Worthington stopped making those products, there have been a number of attempts to imitate them, without much success. 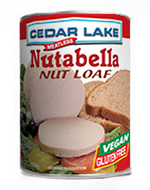 Just this week, Suzanne Haffer, the Adventist Book Center manager, shared with me a new product just released by Cedar Lake Foods called “Nutabella.” I was quite skeptical at first, but I must tell you I was happily surprised! It really is very good. As a Numete enthusiast, I heartily endorse this new product. Thanks, Suzanne and Cedar Lake! By the way, I received no monetary gain for plugging Nutabella. We had a great summer camp season at Glacier View Ranch this year! Family Camp is wrapping up the season this week. We hope you'll all join us for at least one of the summer camps next year! They're great for kids and great for families! This summer at Mills Spring Ranch, our week of summer camp follows the week of Wyoming camp meeting. Come as a family to camp meeting, and leave the kids for an extra week of fun and spiritual growth atop Casper Mountain. The Seaside Escape retreat is a great event to invite a co-worker, neighbor or friend to attend. We'll dig deeper into the story of Sarah and Hagar, and bask in God's presence. Don't miss this wonderful opportunity to fellowship with women from around the Rocky Mountain Conference! Contact Ginger Bell for more information. Conference-wide Convocation with Elder Ted Wilson, G.C. President, and other G.C. leaders in Montrose, Colo.